Your journey towards wellness began when you decided that you will no longer tolerate a life of low energy, depression, pain and illness and you sought out solutions by clicking on my website. So, what’s the next step? Discover our difference. Solutions for Life Naturally probably isn’t like any clinic you’ve been to. If you’d like to learn more about our difference and what it means for your health, click here. Read through our Frequently Asked Questions to learn more about Naturopathic medicine. Book an appointment. If you’re ready to partner with me and create solutions for a healthy life, then click here to schedule a Discovery Session the first step to getting your health back. 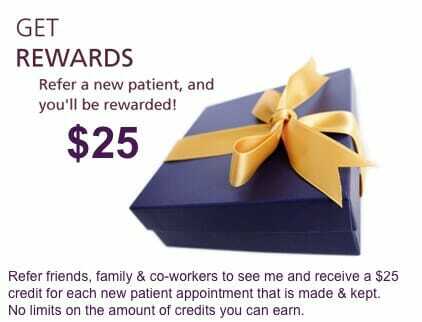 Referral Rewards are my way of saying thank you for your loyalty and friendship. Has conventional medicine left you unsatisfied with the results? Do you suffer from IBS, Acid Reflux, Constipation and Gastro-Intestinal discomfort? Are you wired but tired? Anxious and can’t sleep at night? Convinced weight gain isn’t diet related, while your primary care doctor keeps insisting your thyroid is fine? Your endocrine system is a delicately balanced system. Has your doctor told you “there’s nothing that can be done” for your pain? For your Chronic Fatigue? Fibromyalgia, Auto- Immune Disease or Arthritis? I am Dr Melonni Dooley. Solutions for Life Naturally is my medical practice. It is Charlotte’s Premier Naturopathic Clinic. I help restore the body’s ability to self-heal, auto-regulate & adapt to challenges through natural medicine by getting to the root cause of a health problem. I can help you experience real health solutions that, in many cases, eliminate prescription medications and their side effects altogether. Start feeling better now — naturally!